Resource managers use a variety of tools in hydropower relicensing to determine impacts from flow prescriptions on sensitive aquatic species. 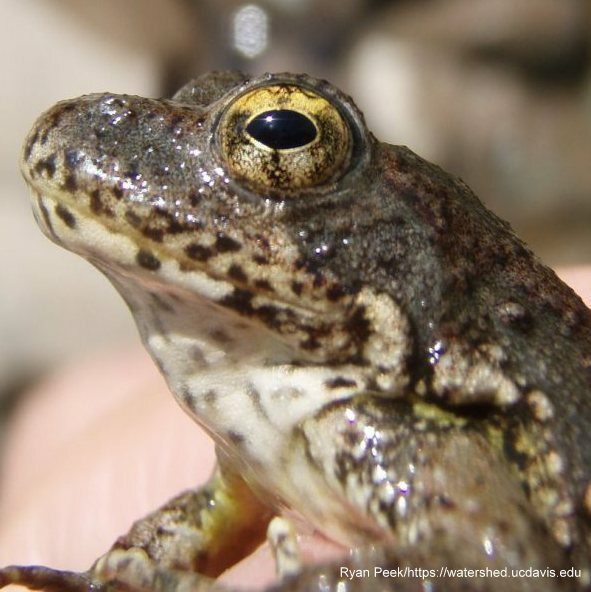 For the Foothill yellow-legged frog (Rana boylii), instream flow modeling is one tool that can be used to assess habitat suitability for egg mass and tadpole life stages. Several instream flow modeling methods are commonly used (e.g., one-dimensional habitat modeling, two-dimensional hydrodynamic models, and expert habitat mapping) and all modeling techniques require that habitat suitability be defined for each target species and lifestage. The models and criteria typically focus on three key characteristics of instream aquatic habitats – water depth, water velocity, and substrate – but may include habitat conditions. This study compares commonly used methods of defining habitat suitability criteria and applying those to instream flow models for R. boylii in the Sierra Nevada of California. First, regional habitat suitability criteria (HSC) are developed using standard univariate and multivariate techniques, and the predictive performance and transferability of different HSC methods are evaluated. Second, three of the most commonly used instream flow assessment techniques are evaluated: (1) one-dimensional habitat modeling, (2) two-dimensional hydrodynamic modeling, and (3) expert habitat mapping (judgement-based mapping by species experts). A comparison table is provided to aid resource managers in selecting the most appropriate habitat assessment method for R. boylii given the specific conditions of a hydropower relicensing project.